THE REMATCH: TRIPLE G AND CANELO GET IT ON TONIGHT! 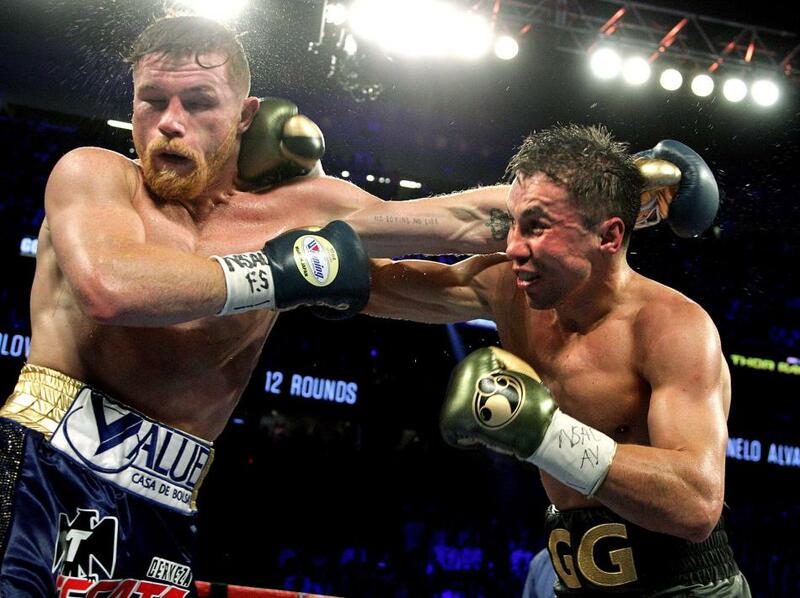 When Saul “Canelo” Alvarez and Gennady “GGG” Golovkin stepped into the ring a year ago, it was a true test of the time machine. Big fights are marketed on the narrative created around them, and Canelo vs. GGG neatly fitted the theme of a throwback. A year later, Mexico’s Alvarez and Kazakhstan’s Golovkin will face off once more tonight on PPV, in Las Vegas’ T-Mobile Arena. They are still the world’s best two middleweights and two of the very best pound-for-pounders. With the initial bout having ended in a draw, bragging rights have not yet been earned. But the storyline? That’s different. Much of the angst stems from a sense of injustice that burns strongly within Golovkin, following what he perceives as a series of slights. He accepted a lesser share of the purse last September as Alvarez is a bigger draw, thanks to Mexico’s huge boxing fan base. Then he felt spurned by the judging, with one outlier official giving Alvarez the bout by an outrageous 118-110 margin in a contest most neutral observers thought Golovkin won. 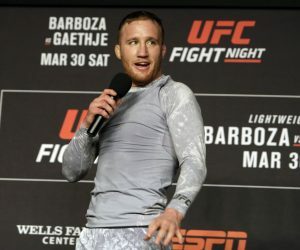 And finally, after contentious negotiations for a rematch were finalized, Alvarez twice tested positive for the banned substance clenbuterol, forcing the rematch to be postponed as he served a six-month suspension, despite the Nevada Athletic Commission accepting the result came about from accidentally ingesting tainted meat. A year back, Alvarez enjoyed the look of the vintage trunks used in the commercial shoot so much that he planned to wear a pair of old-school shorts on fight night, and would have done so had he found a pair comfortable enough for purpose. 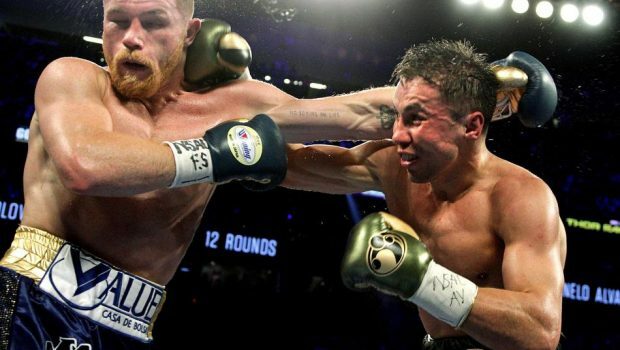 While McGregor and Mayweather hurled taunts and obscenities on a four-stop, three-nation press tour last year, Canelo and GGG instead took the higher road, while promising an action-packed brawl of epic proportions. 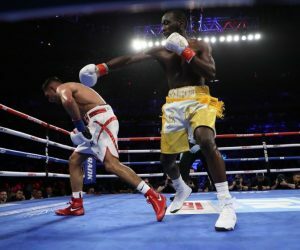 The contest delivered strong entertainment – with Golovkin attacking relentlessly and Alvarez counterpunching with effectiveness and speed. Now, Alvarez also is enraged, feeling that Golovkin and his trainer Abel Sanchez have repeatedly sought to dirty his name by consistently referring to the drug issue. Public opinion is split – tainted meat is a legitimate problem in Mexico, but one that has cropped up in boxing enough times that Alvarez should probably have been more careful. Either way, Alvarez no longer sees Golovkin as simply a sporting rival, but as a personal enemy. The direction was both clear and obvious — to capitalize on the level of animosity that had sprung up between the men. No more old-school chivalry here. In interviews for the show, Alvarez and Golovkin promised to do what they could to make the other pay, talking of revenge and redemption and the settling of a score. What respect was once there, has long since disappeared. Also playing into the shifted narrative is a surprising revelation that came out during filming of the promotional interviews. Golovkin and Alvarez are at loggerheads now, but their upbringings were remarkably similar, albeit thousands of miles apart. Alvarez claims to have had “more than 100” street fights, largely as a result of being teased over his red hair during his schoolboy years. Both have plenty of professional polish, with a multitude of endorsements and as much comfort in a designer suit as a pair of sweatpants. 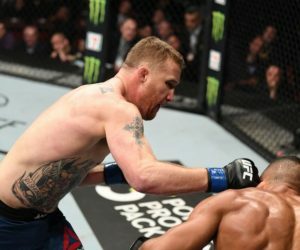 Yet within them lies the raw spirit of a fighter, a feeling that has been energized by the rematch’s controversial build-up. The mutual dislike this time is not a manufactured plotline. Previous DOUGIE P UNPLUGGED: WATCH EAGLES COACH AT PRACTICE! Next BET THE EAGLES, GIVING 3, AND THE UNDER (44) AGAINST BUCS!